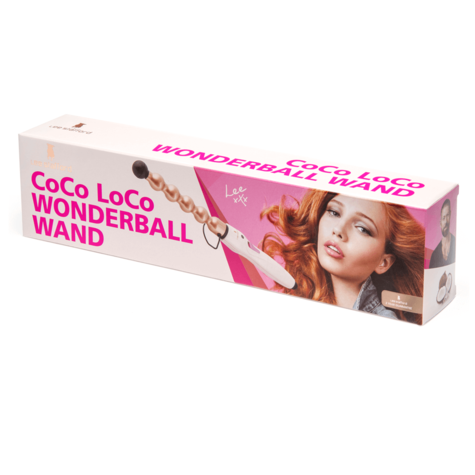 Coco Loco Wonderball Wand to create effortless beachy waves by wrapping your hair over the spheric barrel or get wild bohemian curls when you wrap in between the barrel. Or go nuts and mix it up by doing a bit of both for wild curls! The tourmaline-ceramic barrel is infused with coconut oil which is natural nutrient that provides the essential proteins required for nourishing and repairing damaged hair. 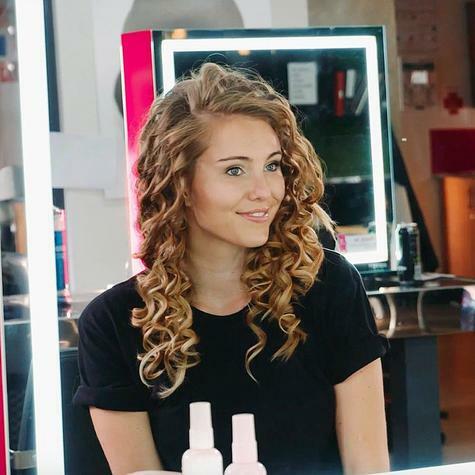 Get ready for fun, curly hair that you'll love! 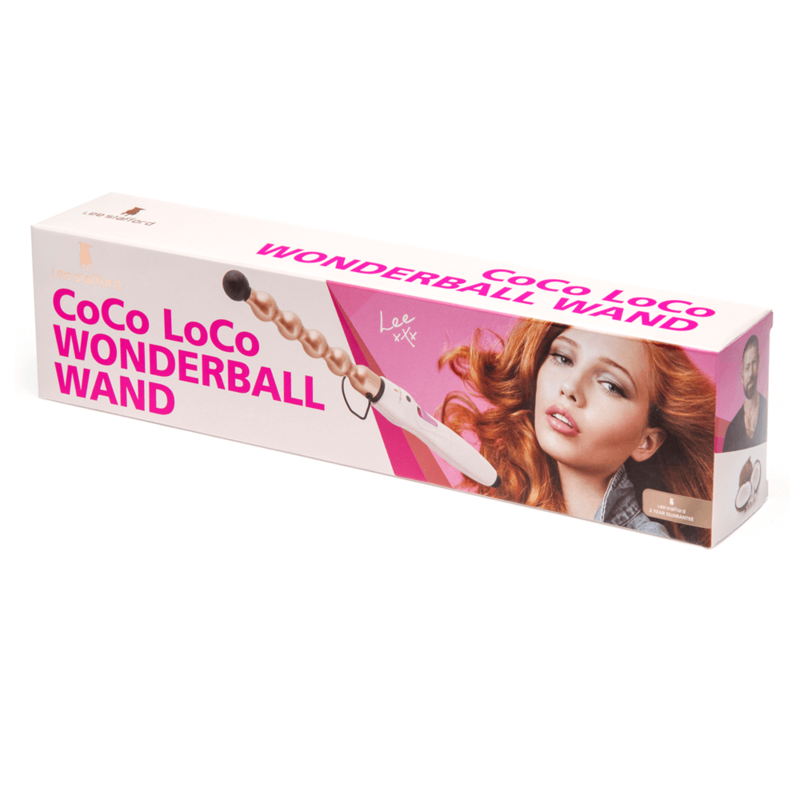 The Wonderball makes any hairstyle fun and easy to achieve. The clipless design makes it fast and easy to use. 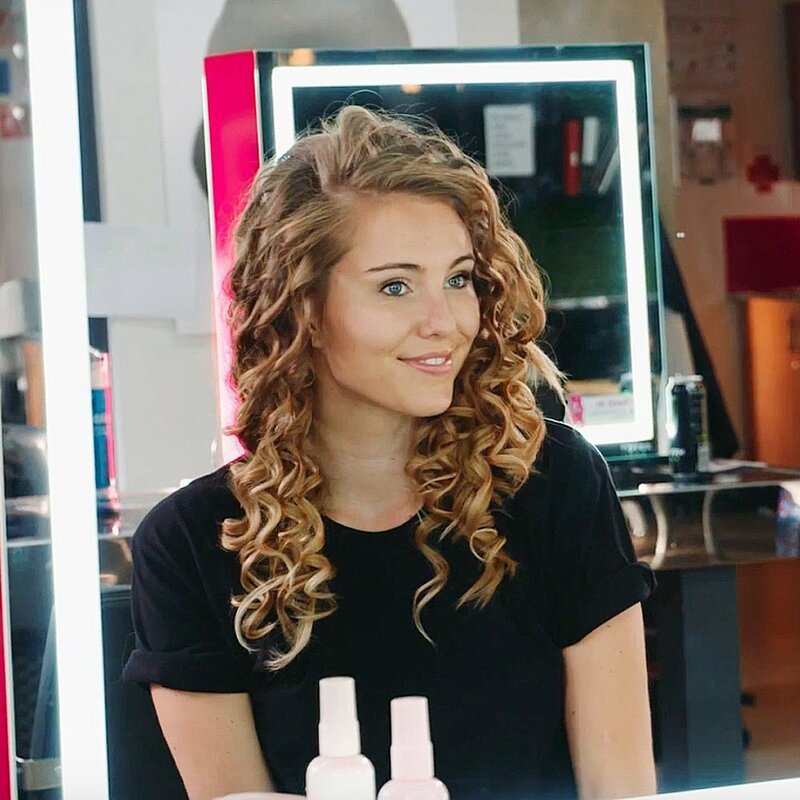 Simply wrap your hair between the barrel to get wild bohemian curls. The wand separates your hair to prevent knots and tangles and to keep your hair smooth and healthy. With a heat up time of 2 minutes or less, you'll have gorgeous hair in minutes. You'll spend less time waiting for your curler to reach the required temperature. 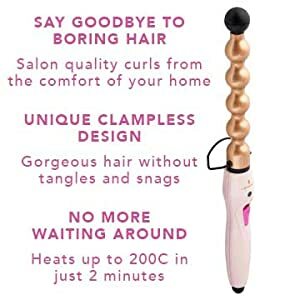 The beautiful style of this curling iron makes it great for all ages. Beauty all around! 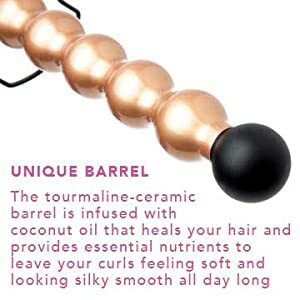 The tourmaline-ceramic barrel is infused with coconut oil which is a natural nutrient that provides the essential proteins required for nourishing and repairing damaged hair. The curler also features a unique 25mm barrel shape that makes it perfect for all hair types. The salon-length swivel cord makes it convenient to use and prevents it from getting tangled. The extra-fast heat up time means less waiting around and the protective cooling tip helps to prevent damage to your hair, fingers, and surfaces. Buy with Confidence from a Lee Stafford Authorised Dealer and All Purchases come with a VAT Receipt.